Edwin Chr. 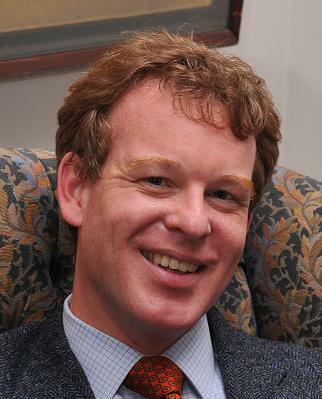 van Driel is assistant professor of theology at Pittsburgh Theological Seminary. He received his MDiv from Utrecht University, Netherlands, and his PhD in religious studies from Yale University. He wrote Incarnation Anyway: Arguments for Supralapsarian Christology (Oxford University Press, 2006) and has a forthcoming book in ecclesiology. For this book project, van Driel returned to Christology and worked on a study on Christ’s resurrection and ascension. Van Driel is an ordained minister in the PC(USA). You are the chair of the admissions committee and receive an e-mail from the associate dean of admissions. At her request, you reviewed a dossier of an applying student. You thought he was an awful candidate. His GPA was below the minimum standard set by your school for admission, his essay rambled, his whole dossier revealed him to be woefully unprepared. You advised rejection. But, as the associate dean now points out, the student came with a recommendation of his ecclesial authorities. They think he is called to be ordained. Should we not find a way of accepting him? The chair of your department sends the faculty an e-mail. The revision of the curriculum of your school has reached a critical point; it appeared that a majority of the revision committee wants to do away with the required two classes in religion and theology. Not only does this endanger the main source of religion majors and minors (most students do not have the foggiest idea of what theology actually is before they enroll in these classes), but it also undermines the rationale for the large number of tenured and tenure-track religion faculty. The chair is preparing one last defense. You are all invited to reformulate your courses so that their relevance for the larger mission of the school and their potential for interdisciplinary work become more visible. You have never seen your colleague this angry. He stays calm, but his words are strong. The temperature in the room rises. The other members are equally passionate. Clearly, you are serving on a committee that is tackling one of the hottest issues on campus. No, it is not a dissertation committee crushing a graduate student over opposing viewpoints of scholarly method. Nor is it a search committee for that long-awaited senior colleague. It is the ad hoc committee on the renovation of the chapel. The second and fourth scenarios come from my two years of serving on the faculty of my current location, Pittsburgh Theological Seminary, a school related to the PC(USA) — although it should be noted that almost 50 percent of our students come from another denominational background. The first and third scenarios come from the two previous years, when I served as instructor at Fordham University in the Bronx, after receiving my PhD in religious studies from Yale University. In my own experience, these episodes illustrate the different character of colleges and universities on the one hand and seminaries on the other hand. Colleges and universities are expressions of “the academy.” They are places of higher learning devoted to giving their students the best academic education possible. This devotion to academia gives these institutions the credit to give out degrees that mean something to a place like Goldman Sachs. Of course, the difficulty is that this also attracts the kind of student depicted in the first story: people who do not necessarily want to be in your class, but who do want the degree. The opposite is true with the student in the second story: he badly wanted to be in my class, even if intellectually he might not be up to it. And the seminary looked into ways to accept him. Why? Because he came with a recommendation of the church; and seminaries are institutions of the church. This is the difference between seminaries and many other places of higher learning. To be sure, seminaries are also academic institutions. But they are not simply expressions of the academy. Seminaries are institutions of the church. A seminary is the place where the church speaks in an academic voice. The other two stories illustrate another difference. The academy is very interested in talking about “religion.” You only have to look at the journal articles in the Journal of the American Academy of Religion to see that this is true. Many colleges and universities will therefore have a “Department of Religion” and offer courses in various aspects of religious practices and beliefs. And even if a department itself is firmly committed to doing and teaching theology — as is Fordham University’s theology department — it must always deal with the pressure from other corners in which the study of religion is academically acceptable, but doing theology is not. The church, on the other hand, is not interested in talking about “religion”; it is interested in God. That is why one of the hottest discussion items on my campus right now is the renovation of the chapel: What place does worship have in our teaching and the life of our community; how do we worship God rightly in the first place? Working at a seminary demands graduate school training that allows one to talk about God rather than talking about religion and to take responsibility for the seminary’s calling to be the academic voice of the church. I received my PhD from a program very conducive to this kind of work. At Yale University, the PhD program in Christian theology is located in the department of religion, but when I was there my professors spent most of their time in the divinity school. David Kelsey was writing his recently published book on Christian anthropology; Marilyn Adams published her book on God and horrendous evils; and Miroslav Volf had been commissioned by the Archbishop of Canterbury to write his book on giving and forgiving. I think it is fair to say that for all of them, the church was always in the background of their academic work. Some of my fellow graduate students actually complained that they did not receive enough training in “religion” in order to be employable in places other than divinity schools and seminaries! They were probably right. I was fortunate that when I interviewed for the position at Fordham University, a Jesuit institution, the dean of college told me he wanted the required “religious studies” course I was to teach to be instruction in theology, not in religion. I am not sure I would have gotten the job if his preference had been the other way around. Prospective graduate students who are serious about teaching in a seminary would do well to find a similar doctoral program. At Yale University, all my teaching as a TA took place at the divinity school and I wrote a dissertation on the question of why God became human in Christ. Talk about God-talk! All of this turned out to be excellent preparation for my current teaching position. The other piece of my preparation was getting an MDiv before I entered my graduate program. I think in general getting an MDiv rather than an MA in religion might be the better way to go; an MDiv gives one a fuller exposure to all theological disciplines. If you teach at a seminary and want to understand how things look from your students’ perspective — including church internships and clinical pastoral education, the eleven-week internship as a hospital chaplain many seminarians will go through — having that same form of education is crucial. And usually search committees will require it. Whether you are supposed to teach at a college or at a seminary is, to my mind — and would you expect differently from a seminary professor? — a matter of discerning your call. But discerning your calling is often simply to discern what gives you joy. When I taught at Fordham University, a psychology major enrolled in one of my courses was convinced that all religions are, at bottom, the same. The particularities of the religions were for her puzzling, even somewhat irritating. At the end of the course she came into my office to tell me she had changed her mind. She now saw that what made believers tick was exactly what made religions different from each other. I had done my job. I had helped make her a more informed person; and that would make her, in the end, a better psychologist. Hearing her say that was great. When in the seminary’s required course on Christology I explained over three class meetings the doctrine of the two natures of Christ, a student stopped me after class and told me that, for the first time in her life, she had understood what this meant: that God truly became human. I had helped her understand her faith; and that would make her, in the end, a better pastor. It’s for that last experience that I get out of bed in the morning.